The annual Darlington Comedy Festival continues to go from strength to strength, and with 2016’s event now having the first wave of names released, it’s time to get very excited for the month of July in Darlington. With shows taking place all throughout July, at various venues including Forum Music Centre, Scene Inside Out and Hole In The Wall, there’s a bit of something for everyone, and plenty to tickle the funny bone. This year sees names like surreal favourite Tony Law, local hero Patrick Monahan, the brilliance of character comedian Tom Binns and Edinburgh Comedy Award nominee Seymour Mace really stand-out. Though the list goes on with Irish charmer Andrew Ryan, Fringe hero Diane Spencer, 2015 English Comedian Of The Year Brennan Reece, alongside some of the best headliners in the business in the shape of Mark Nelson and Abi Roberts, while BBC New Comedy Award winner Steve Bugeja is one a lot of folk will want to catch. The festival is programmed and sponsored by Hilarity Bites, who’ve really put Darlington on the map as a comedy town (and the surrounding areas too), and it’s no surprise to see the names they’ve attracted. With even more updates to come, it’s time to get snapping up tickets to the shows that take your fancy already, as Darlington Comedy Festival delightfully edges just that little bit closer. 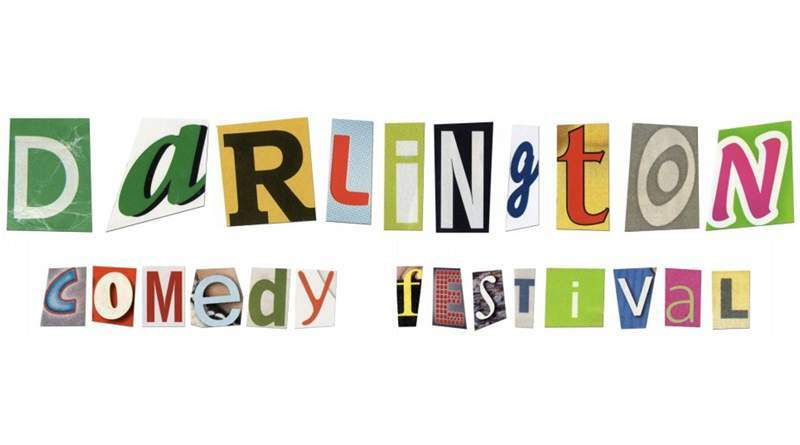 Darlington Comedy Festival takes place at various venues throughout July.